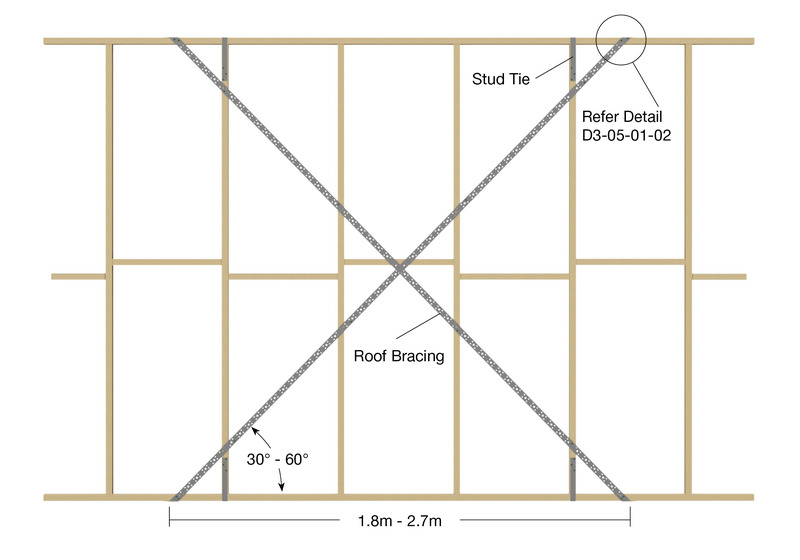 Two individually cut pieces of Roof Bracing are required to brace a timber framed wall section. These pieces should overlap to form an ‘X’. Stretch the Roof Bracing over the entire panel to be braced, ensuring the brace is taut. 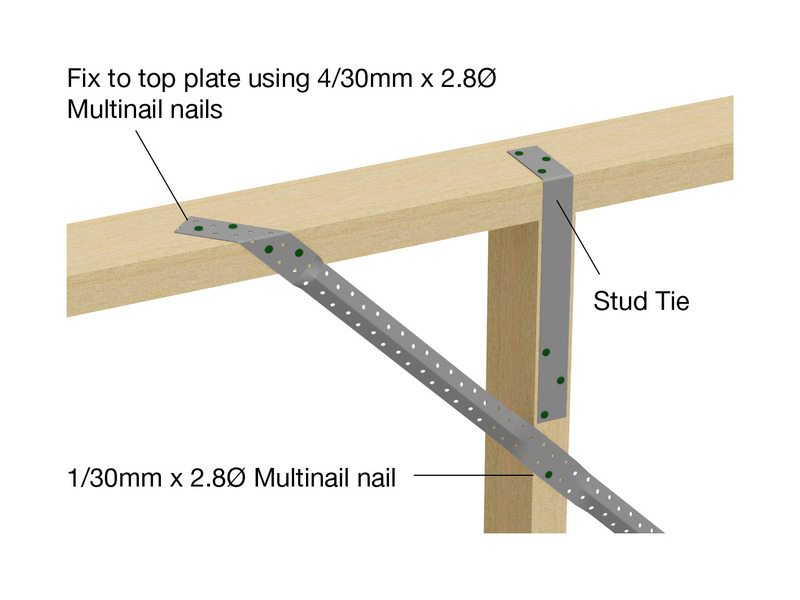 Repeat this procedure for the second piece of Roof Bracing, ensuring an ‘X’ is formed.